The slight chill in the fall air beckons for a night of warm soup and cuddling. This butternut squash soup has a complexity of flavors with the golden beets, white wine, and cream. Yet, it is the Mexican-style chorizo crumbled on top for the finishing touch that makes it a crowd-pleaser. Your loved ones will thank you for making this dish. They may even want to snuggle with you on the couch to show their appreciation. After-all, we are in the season to be #grateful. 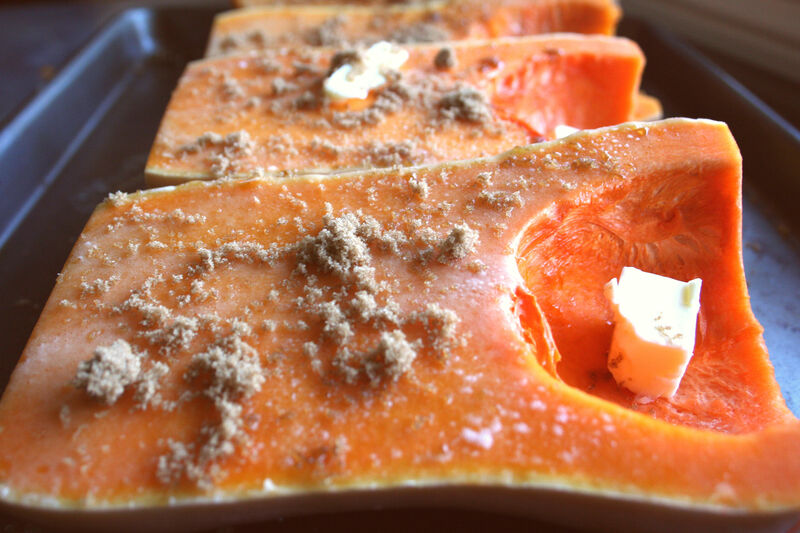 To roast the squash and beets, preheat the oven to 350°F. With a vegetable peeler, remove the skin from the beets. Carefully cut the squash in half lengthwise. Scoop out and discard the seeds. Place the squash and beets on a baking sheet and drizzle with the olive oil. We added some brown sugar and butter to our squash, but this is optional. Roast the squash until it is soft and caramelized, about 60 minutes. To make the soup — In a large stockpot over medium heat, melt the butter and then add the onions, garlic, salt, black pepper, and thyme. Cook until the onions are soft and translucent, about 3 minutes. Add the wine and cook until the mixture is reduced by half, about 3 minutes. Add the squash, sugar, stock, and cream. Cook until all of the flavors meld together, 20 to 30 minutes. Season with the cinnamon and nutmeg. To make the chorizo, remove casings and place the chorizo in a medium skillet over medium heat. Break it up with your wooden spoon. Allow the chorizo to cook stirring frequently with a wooden spoon. The chorizo will need to cook down for about five to eight minutes. Remove from heat and allow to drain on paper towels. Strain through a fine strainer and put back in the stock pot. Taste the soup to check if you need more salt or pepper. 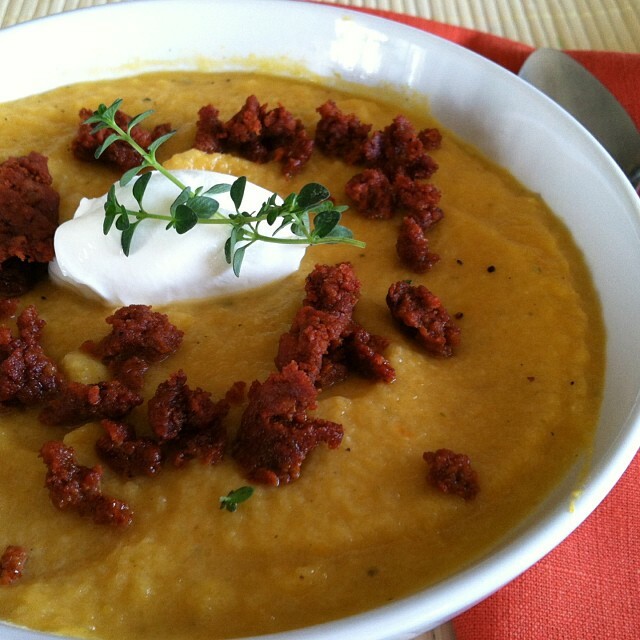 Serve individual bowls of the soup, topped with the crumbled chorizo and a spoonful of good quality crema or sour cream. Open up a bottle of a robust red wine and enjoy. You’ll be in the snuggling mood for sure!